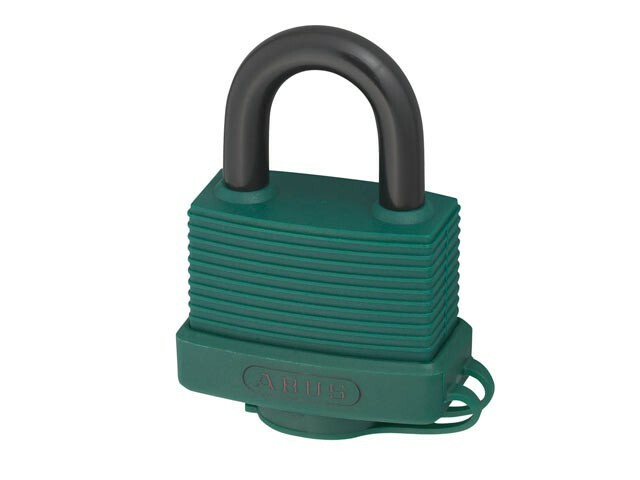 The ABUS 70AL Series Padlocks have a precision extruded, cut and drilled pure aluminium body, which is lightweight and strong. They have a sealed lock body with protective shock absorbing vinyl case and cover seal designed to protect the cylinder against water and dirt. Rustfree precision 5 pin tumbler cylinder with a through hardened plastic coated 8mm steel shackle. Zinc plated brass lock mechanism, to protect against chemical corrosion.